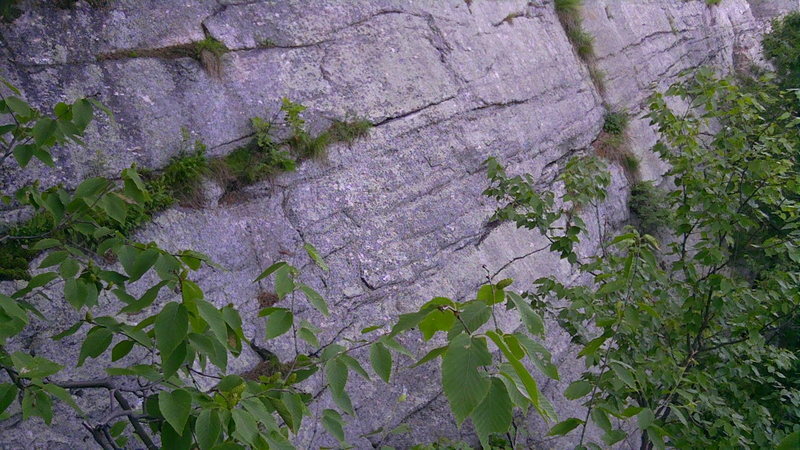 The Willie's Weep traverse near the top of P1. Photo taken from belay tree. The wider foot crack is to the right in the photo, obscured by tree branches. The narrower, straight, horizontal crack (above center) is great for pro (I used a 0.4 C4).